Some say it’s haunted. Some say it’s a masterpiece of Art Deco decor. Some say it is one of the finest ocean going liners ever built in the 20th Century. Whatever you want to believe about the RMS Queen Mary, it is one of the coolest places to do a fest. Roam the amazing decks and sumptuous halls. Enjoy bars, and views. Take the haunted boat tour. And of course, the original and compelling food, music and programming that Jewlicious Festival is famous for. 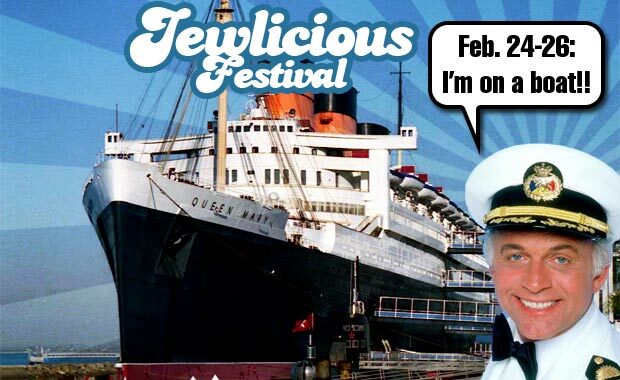 Before there were a bevy of imitators, Jewlicious Festival originated a unique blend of programming music and fun, that simply is unlike anything else at this price. Thanks to very generous donors, we can offer the Festival for a fee that is simply a steal. Everyone will be there – will you?